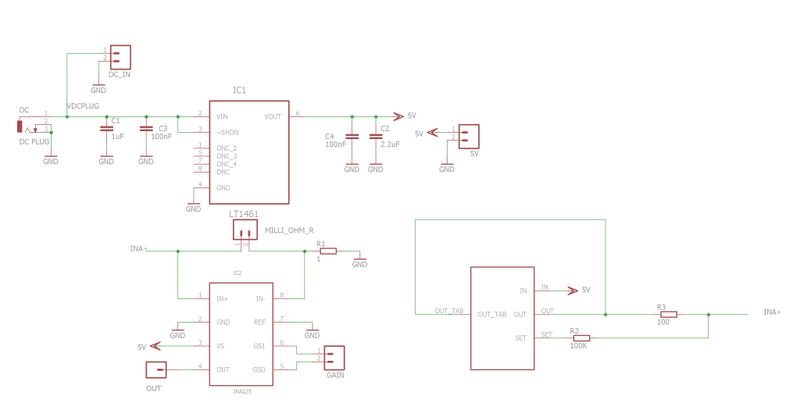 After power-on the circuit will be operating and the display LED will be constant RED when the auto switch is in OFF state and will be slowly changing between red and green when the switch is in AUTO state. 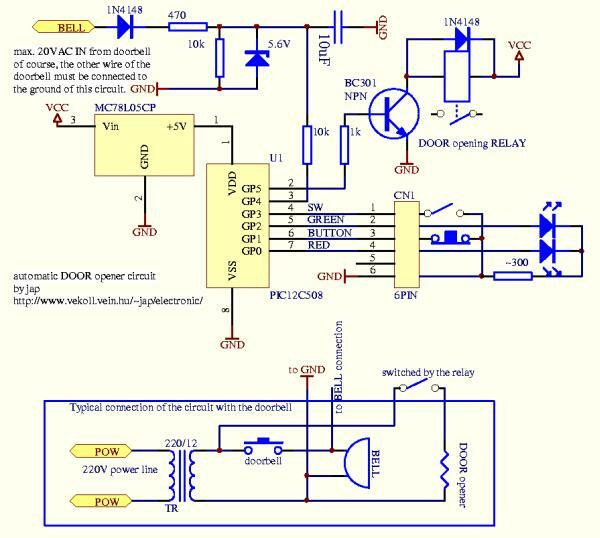 Shortly pushing the BUTTON will operate the door relay for about 3 seconds (this delay can be reprogrammed). Holding down the PUSH button for a bit longer will operate the door relay after about 20 seconds. This timer delay is also reprogrammable. The display LED lights in constant YELLOW while the delay timer is running. WARNING: entering inappropriate codes for the timers will result in strange operation (too long/short delays) and you may have to break the power for the device to reset and start again. To enter the delay programming mode, hold down the BUTTON and change the state of the SWITCH. The LED display will turn OFF until the release of the BUTTON. In this mode the software reads the values for the two timers in the form of 4 hex numbers. The first two numbers make up an 8-bit value for the timer of the door opening time and the second two numbers make up an 8-bit value for the delay timer. The values are given in a rough 10 ms unit.